Woah. I have no idea how it's already the first week in June, but I am not complaining! After a busy few weeks I am more than ready for a relaxing weekend and I am looking forward to catching up on a few projects that have been neglected for far too long. Summer always seems to be the time of year where there is so much going on, but I love the simplicity of sipping cocktails on a patio or relax poolside with friends. 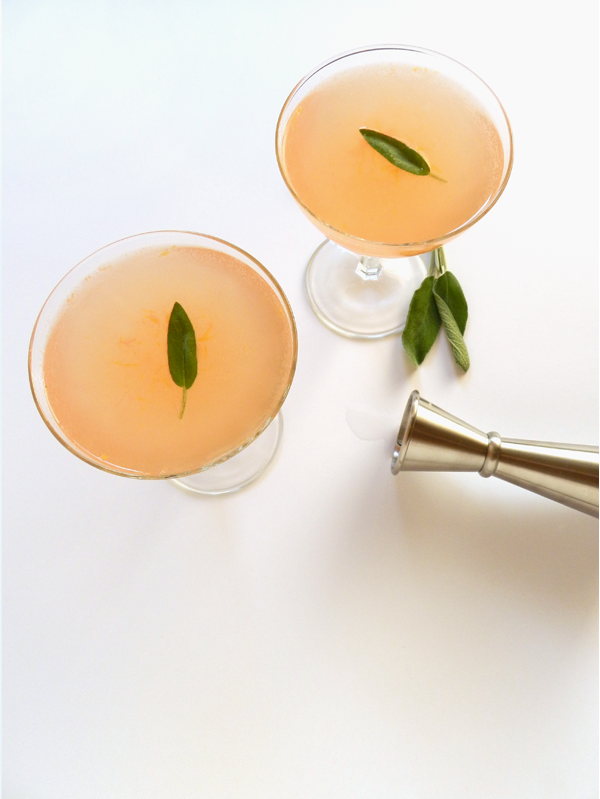 Anyways, as I begin to countdown to the weekend, I'd thought I'd share this simple and refreshing cocktail with you. Cheers to the weekend! 1. 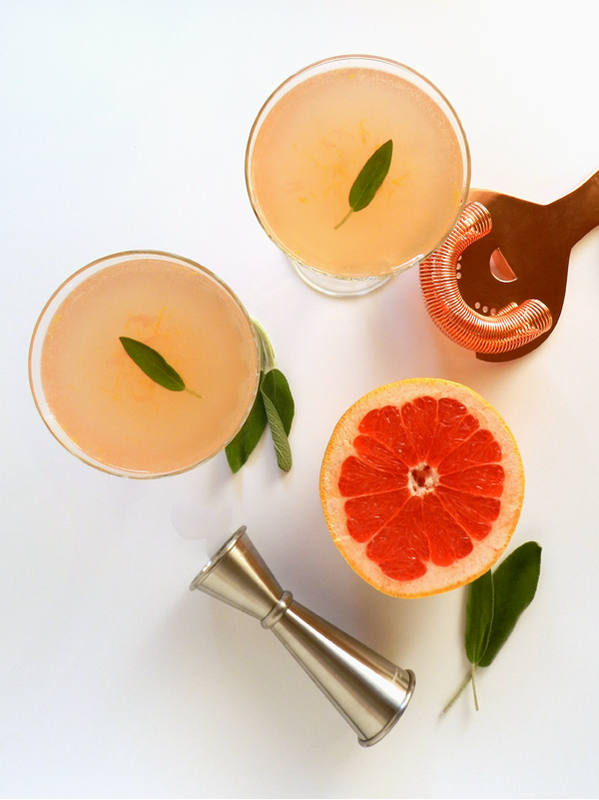 Crush the sage leaves and grapefruit zest in your hand and add them to the shaker. 2. 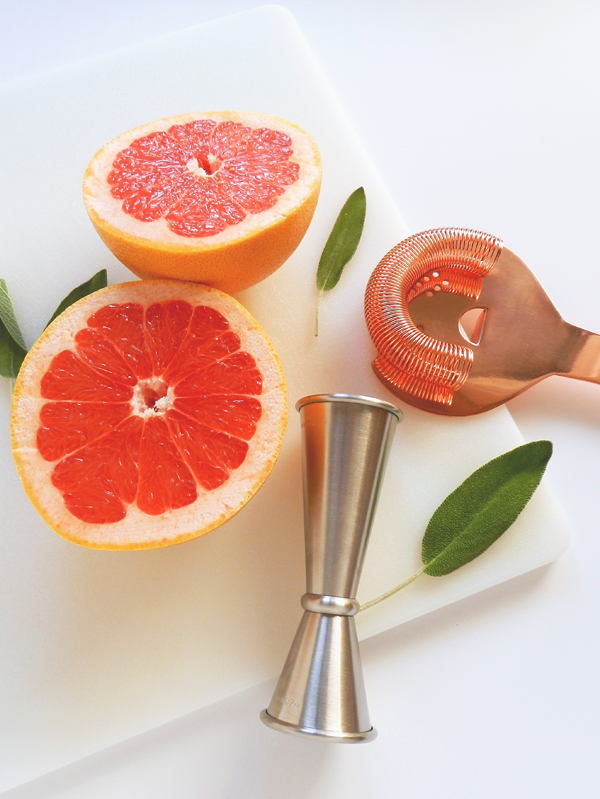 Add the gin, grapefruit juice, and simple syrup to the shaker. 4. Strain the mixture into chilled coupes and top with cava. 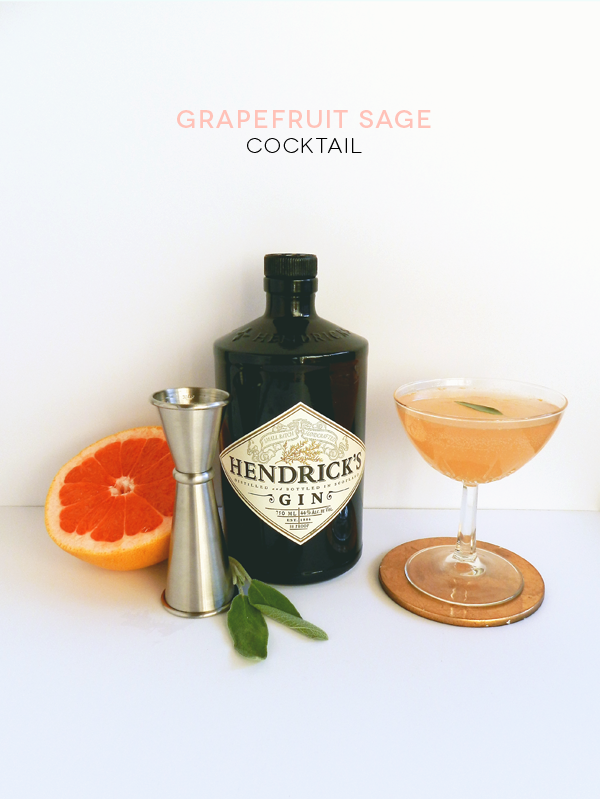 Garnish with sage leaves. Recipe can be found in the book Shake: A New Perspective on Cocktails by Eric Prum & Josh Williams.